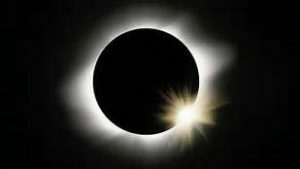 The sun will be eclipsed in the United States this coming August. In centuries past, this was a great concern, even after it was learned that is was simply the moon casting its shadow. Herberger finds an analogy in the natural phenomena to comfort his readers. The sun is often eclipsed, sending deadly plagues and other calamities to earth. O Lord Jesus, Your Gospel is often eclipsed by the vanity of men, which brings people the plague of despair over sin, death, perdition, and lack of consolation. But just as the eclipse of the sun is not seen at the same time in every land, neither is the knowledge of Jesus darkened in the whole world and in all hearts. There are always those who adore, honor, praise, and confess our Lord Jesus, see Him in the true light, and are blessed by Him.